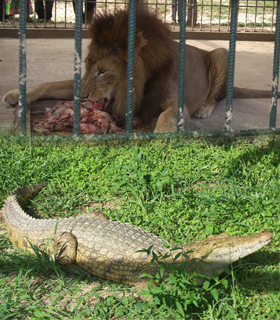 Dar es Salaam Zoo is located in Kigamboni Area. The ZOO is preserved with natural flora and fauna making it unique from the rest. To reach the Zoo, go up to Kibada then take the moram road which is only 9Km to the Zoo. Adding to its attraction, a River with crystal clear and cool water flows throught the year providing a sanctuary for the wildlife and the environment. Disigned to provide unique and exotic relaxation, knowledge and Safe natural environment for both Adults and Children. As a popular natural attraction, the zoo offers visitors day tours, school holiday programmes, venue hire and regular events for the public. 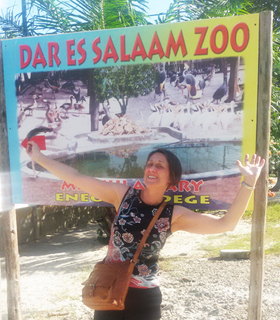 Your adventure begins as you enter Dar es Salaam Zoo, trekking down a path that you explore the Nature. We provide an excellent opportunity for professionals who wish to study natural science through interacting directly with animals and plants both wild and domestic which are found in the ZOO. We have facilities such as Swimming Pool, Gym, fun fair operation, e.tc.